My first encounter with a travelogue and it couldn’t have been better than this. India on my Platter is not just fun but it’s lovely too. 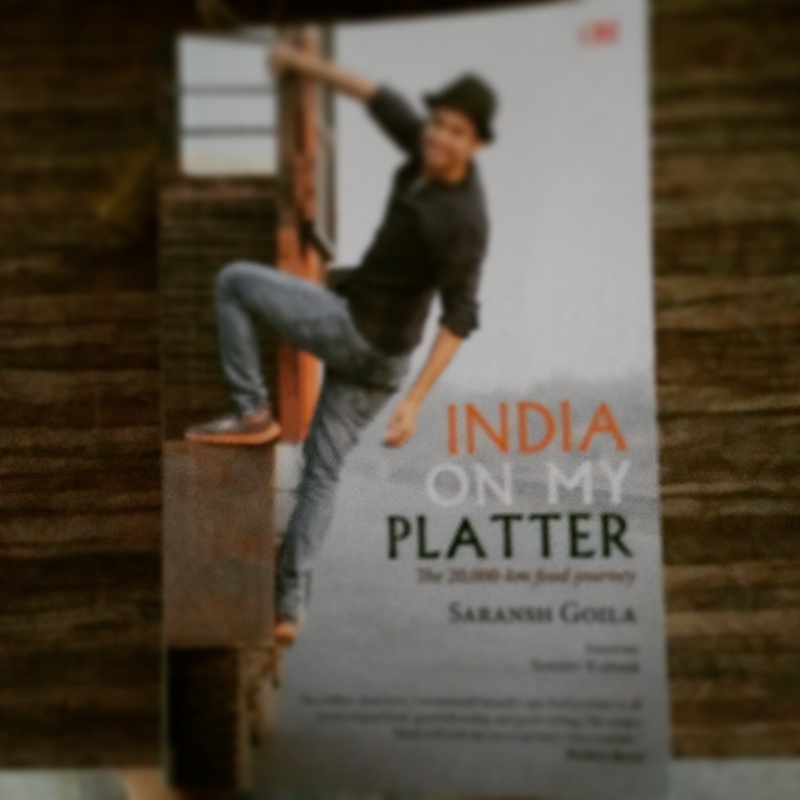 The book is like an daily journal of Chef Saransh Goila while he was touring India in 100 days for his show Roti, Rasta aur India to be aired on FoodFood channel. Chef Saransh Goila won the FoodFood Maha challenge in the year 2011 and was offered this show aftermath. Only a fool will reject such an awesome opportunity and Chef Saransh Goila is no fool. And thank God for that, otherwise I wouldn’t have got a chance to read this amazing book. Chef Saransh Goila travelled around India in 100 days learning, unlearning and re-learning not just about Food but also about India. He travelled through villages, towns, cities meeting people from different backgrounds and walks, learning new recipes and sharing the same in this book. 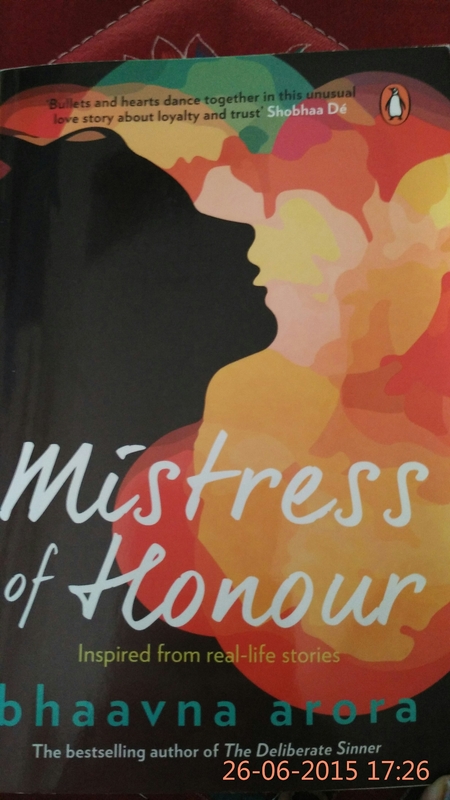 I liked the way he compiled this whole book by being honest and writing direct Dil se. There are around 50 recipes in this book both veg and non-veg, few of them like Dark Chocolate Kheer, Saffron Fruit Cream, Raw Banana Pakoras with Khakra Canapes, Baghare Baingan, Chandan ke Kebab, etc.. are already on my To Try list. I have not seen his show and I don’t know whether it was a hit or a flop show, but what I know is that this book is definitely a Hit. Don’t, just don’t read this book at night or when you don’t have access to food. All the recipes in the book will leave you hungry.